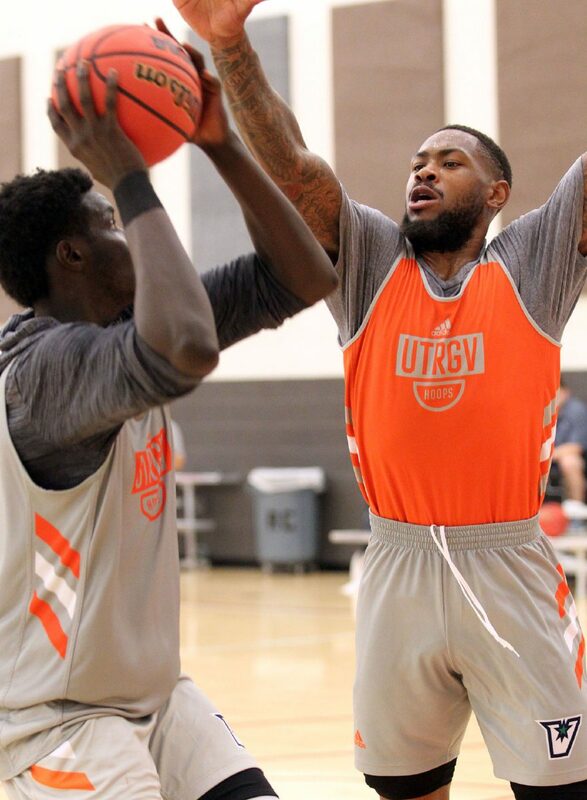 The UTRGV men’s basketball team is closer to its Nov. 6 opener than its Aug. 27 start to the academic year. The first week of practice is one of the visible signs of the impending season. Often, the first several days of practice can feel as though things are moving in slow motion. This is not the case for UTRGV. The NCAA gives schools the option to take their teams on a foreign tour once every four years. UTRGV coach Lew Hill took advantage of the option by taking his team to Costa Rica for two exhibition games before the school year began. 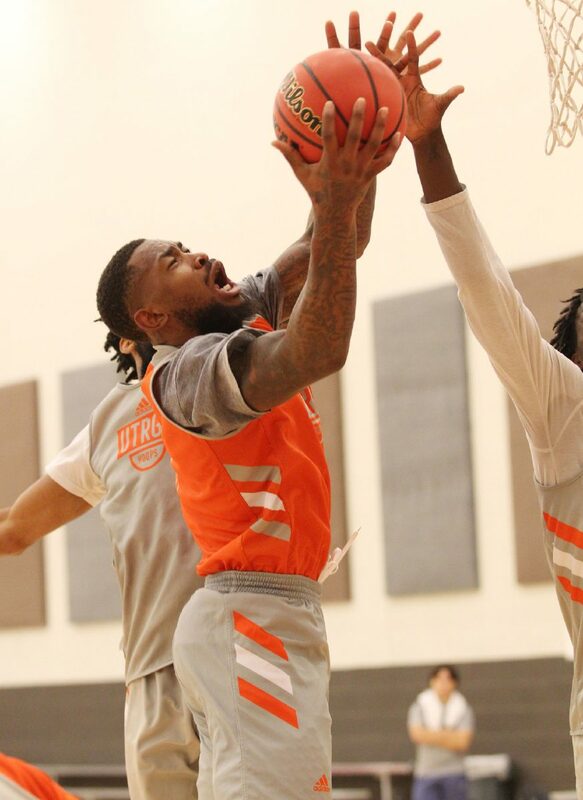 UTRGV forward Terry Winn III goes up for a score during their practice at the Vipers practice facility on Thursday, Oct. 4, 2018 in Edinburg. 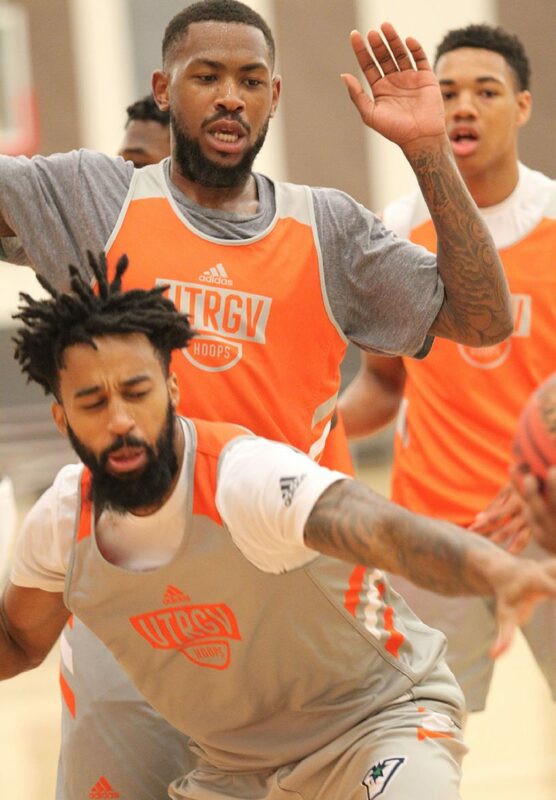 UTRGV forward Terry Winn III defends on the play during UTRGV basketball practice at Vipers practice facility on Thursday, Oct. 4, 2018 in Edinburg. UTRGV forward Terry Winn III defends a play during UTRGV basketball practice at Vipers practice facility on Thursday, Oct. 4, 2018 in Edinburg. 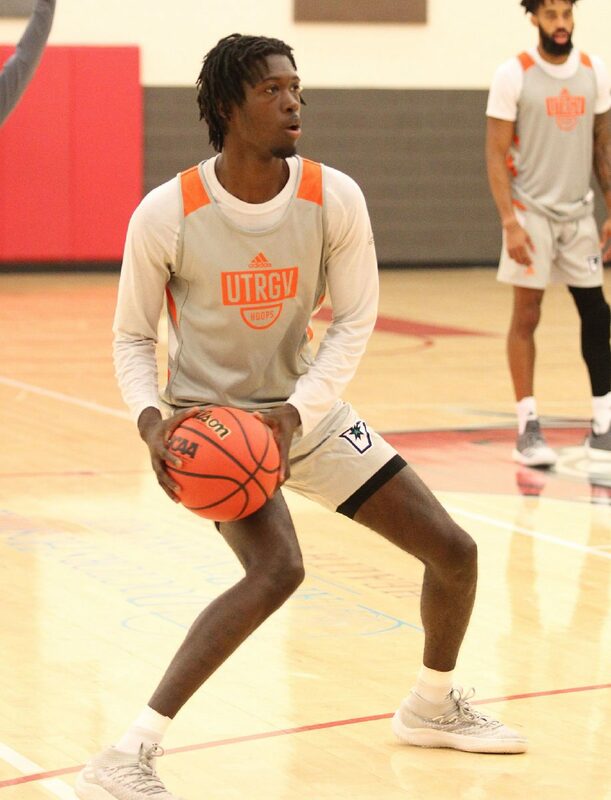 UTRGV guard Jordan Jackson looks for a teammate during UTRGV basketball practice at Vipers practice facility on Thursday, Oct. 4, 2018 in Edinburg. UTRGV forward Lesley Varner II looks for a teammate during UTRGV basketball practice at Vipers practice facility on Thursday, Oct. 4, 2018 in Edinburg. Dixon, one of Hill’s team captains last year, doubled as UTRGV’s ironman in 2017-18. He played nearly 1,000 minutes (977) and led his team and the Western Athletic Conference in scoring (20.3 points per game). UTRGV had a few more key defections since last season ended. Another team captain, guard Lew Stallworth, transferred to The Citadel in April. Fellow guard Xavier McDaniel Jr., UTRGV’s third-leading scorer last season, left the team as well. 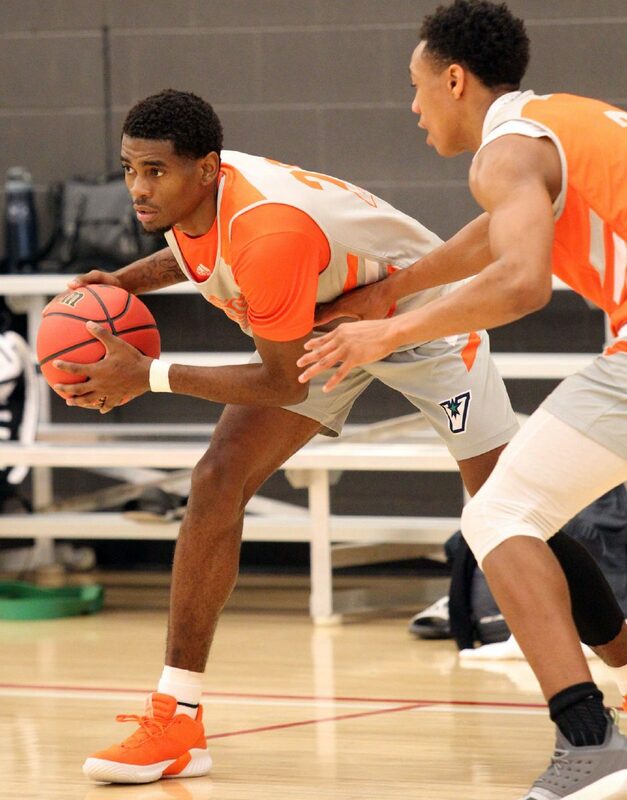 While losing Dixon, Stallworth and McDaniel Jr. are big blows, the Vaqueros return four starters from last year’s squad that played in the College Basketball Invitational. UTRGV’s participation in the CBI was the program’s first taste of postseason play since 1981. Jackson, a Texas Tech transfer, joined the program last season and appeared in UTRGV’s first four games of the season. He sat out the next four games before making his final appearance of the year at Texas A&M last Nov. 30. Jackson said their Latin American trip helped build chemistry with the new players.